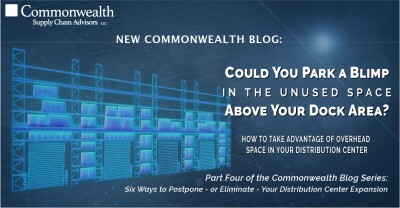 This blog is the fourth in a series on distribution center capacity and space utilization. So far, we’ve covered the concepts of slotting, optimizing storage depths and reducing aisle widths. 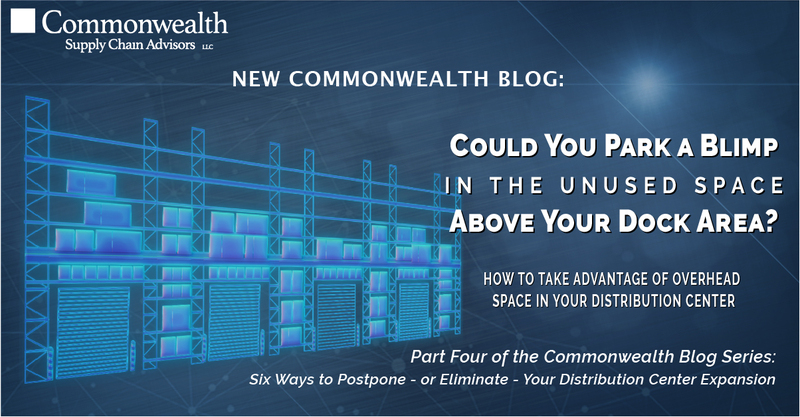 In this post, we’ll look at how to take advantage of overhead dock space. Storing empty pallets or consumable supplies over dock doors. Pallet racking can be used to bridge over dock doors and create single-deep storage areas. While only a small percentage of the dock area can be reclaimed in this way, valuable space in the main pallet rack area can be freed up for storage of inventoried SKUs. When designing a mezzanine, be sure to position the support columns in areas where they are less likely to cause lift truck collisions, and be sure to allow an easy means of transporting goods up and down from the mezzanine. The next blog in the series will dive into the advanced topic of AS/RS systems. We’ll lay out an objective perspective on their benefits, costs and risks. Can’t wait? Read the Whitepaper: Six Ways to Postpone -Or Avoid- DC Expansion or watch the recorded webinar.